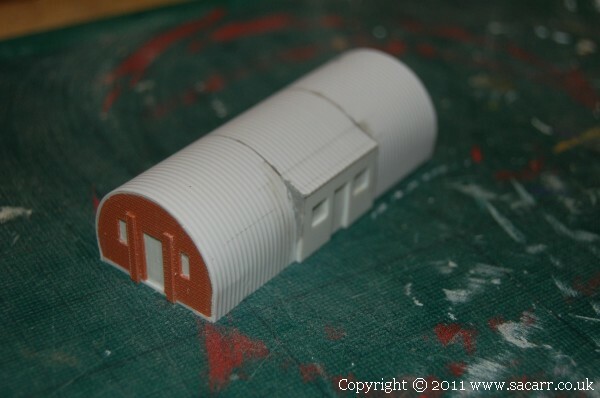 I wanted to have several Nissen Huts on the layout. 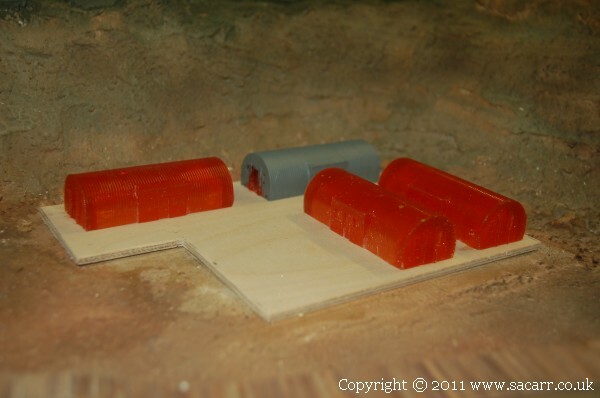 Rather than make them all individually, I opted to make one and cast further huts in resin. 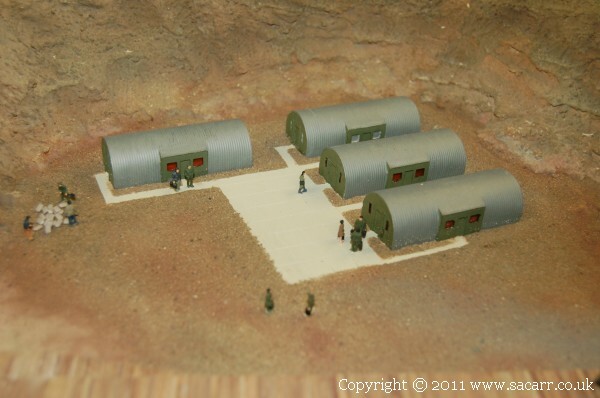 One was needed in the camp at the left side of the layout, and several more at the right end of the layout. 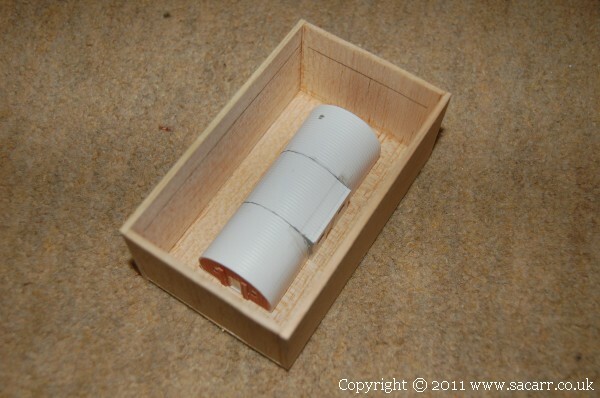 The first hut was made from corrugated and brick finished styrene and a silicone mould taken from it. 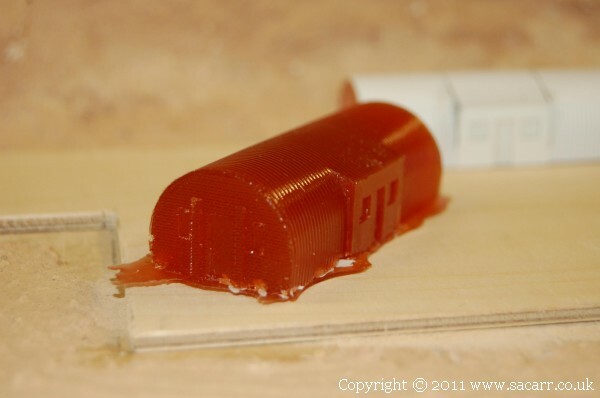 Further huts will be cast in polyester resin.